I was very keen to make rye bread a while ago and eventually got round to buying some rye flour. Two days later I had forgotten I had it. Luckily I came across it again the other day: I really need to keep my cupboards (or possibly just my brain) a bit more organised! I wasn’t quite sure if I was ready for a loaf made entirely of rye flour and in my search for a recipe found ones from 100% rye to varying proportions of rye flour to white bread flour. My two current favourite bread making books are by Richard Bertinet and Paul Hollywood so I have used elements of their recipes for rye breads and come up with this. This recipe makes one small loaf: if you want a larger loaf just double the quantities. I put my shaped dough into the fridge to rise overnight and baked it in the morning. 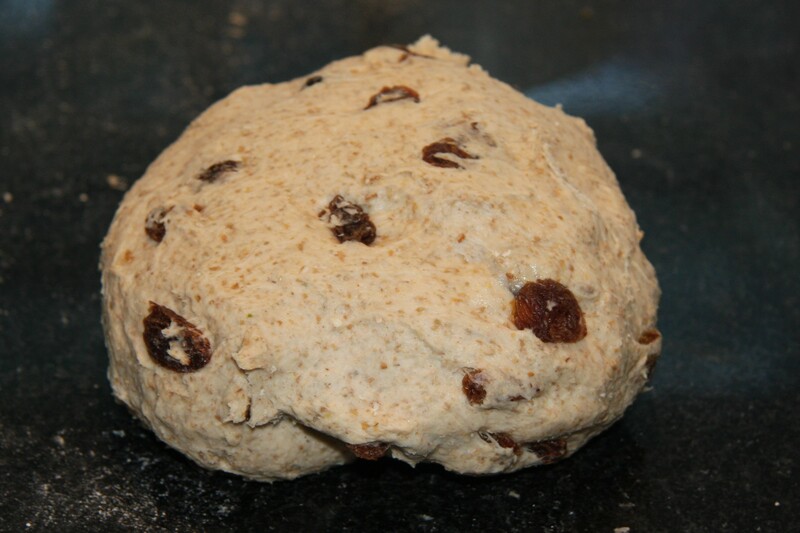 I found that it didn’t really rise much more in the oven so either the rye flour or the sultanas make for a heavier dough, or possibly I hadn’t let it warm up sufficiently before baking it. I will find out next time I try it. I was really impressed with the taste that rye flour gives the bread and would happily use it in a larger proportion with the sultanas. This is a great bread for cheese if you like dried fruit or grapes with your cheese. It also toasts well for breakfast and you won’t need any jam. Put the flours into a large bowl and add the salt to one side and the yeast to the other. Add the water and mix well. Turn out and knead for 5-10 minutes, until the dough starts to go silky and smooth. 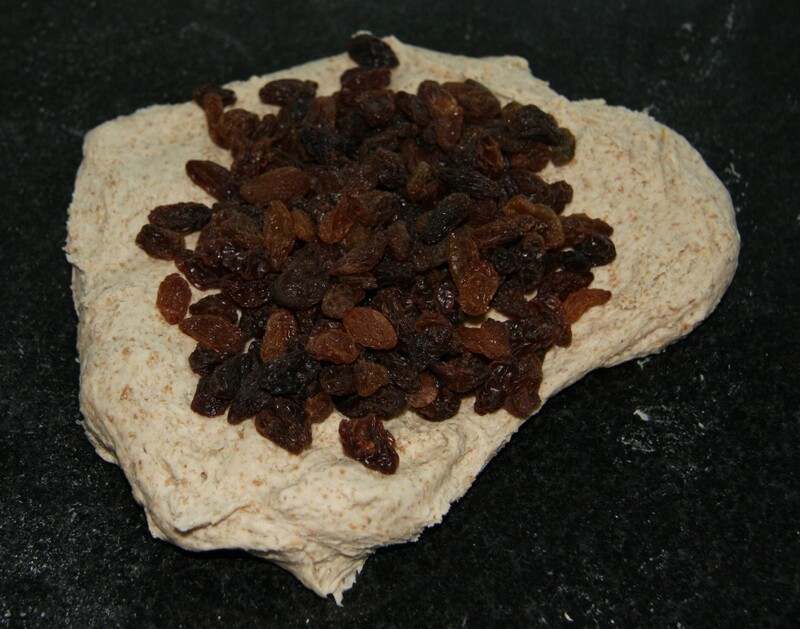 Add the raisins or sultanas and knead again until evenly incorporated. Put the dough into an oiled bowl, cover and leave to rise until at least doubled in size, probably at least a couple of hours. When the dough is ready turn out onto a floured surface and repeatedly fold in on itself to knock the air out. Shape into a loaf and place on an oiled tray. Cover again and allow to rise again until doubled in size. Set the oven to 220ºC. When the oven is hot, slash the loaf and sprinkle with rye flour and bake for around 20 minutes or until the bottom sounds hollow when you tap on it. Move onto a wire rack to cool. I am going to try using rye flour in place of wholemeal flour to make a plain loaf and see how that goes: I will let you know! This looks absolutely lovely! 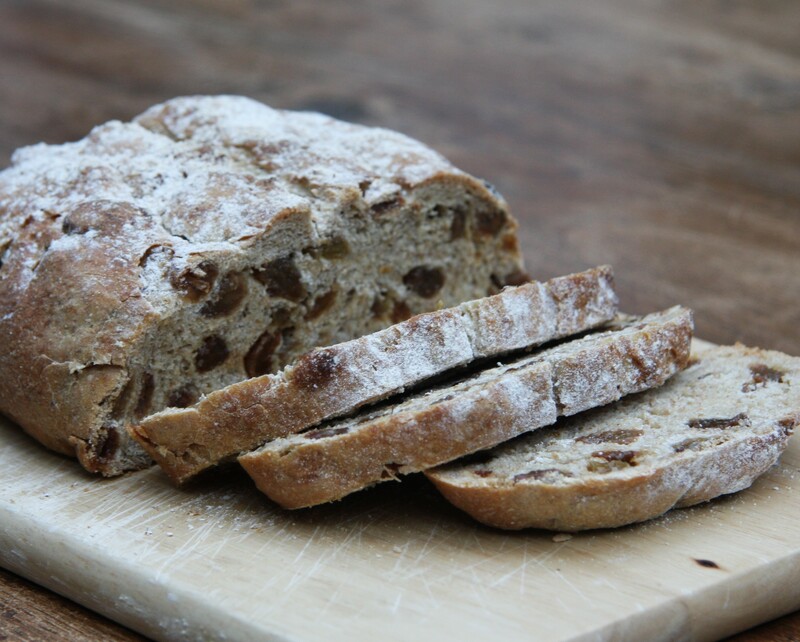 Rye bread is a favourite of mine, it has such a delicious flavour and texture. I fail dismally at making bread 😦 I always look with great admiration upon other blogger’s gorgeous loaves! A lovely blogging friend of mine, Brydie from cityhippyfarmgirl, is about to send me some of her sourdough starter so I am keeping everything crossed that it’ll be the answer to my baking dreams!!! Ooh that sounds good. And have just started to follow her blog, it looks great, thanks! Good luck with the sourdough. 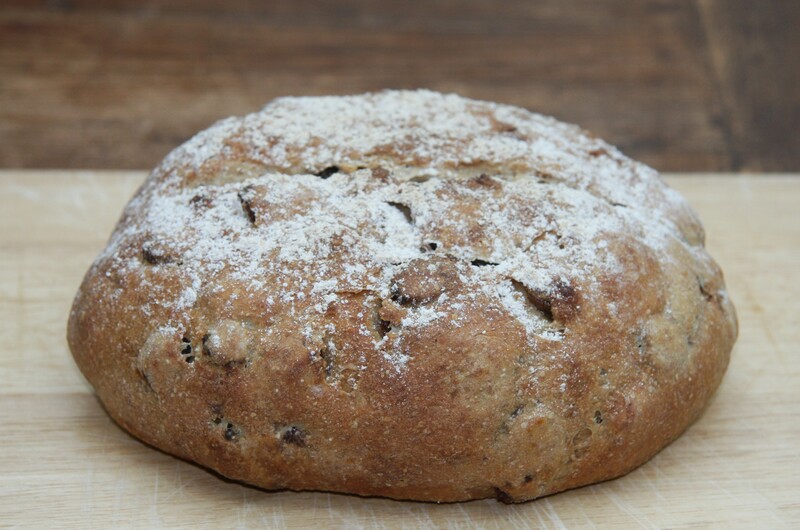 I love rye bread and your version looks so delicious! I bet the sultanas and rye really compliment each other. This is a beautiful bread! Thank you, hoping it will rise a bit more next time! I think I have worked out they are pretty much the same – my weighing scales were playing up drastically. Now currently on second prove. I hope my scales didn’t affect any other measurement. Could be interesting! Sorry to be so slow in responding. I’m glad you worked that out – water is exactly the same in grams and mils and I like to weigh as much as I can. A lot of things can be substituted 1 for 1 but things like oil are lighter and I have found if you take off 10% you can weigh it – so 100ml oil would be 90g. I hope your scales are working properly and that you enjoyed your bread. Thanks very much for commenting and trying the recipe!